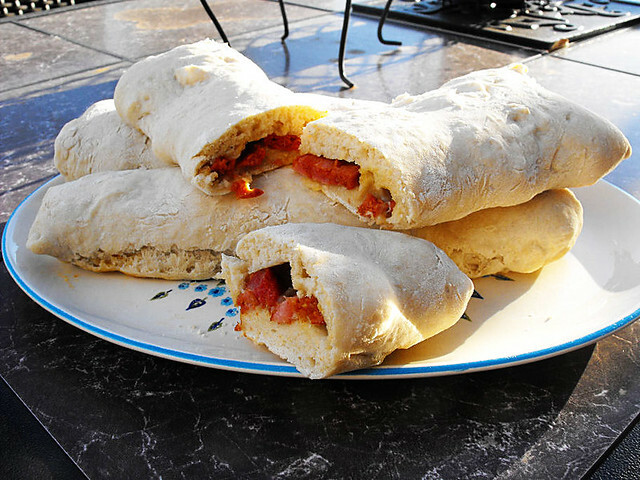 Now this is one of my favorite portuguese breads to eat. I remember many times sitting in one of the Lisbon Pastelarias (bakeries) and smelling the aroma of the bread baking in the oven, it was intoxicating but in a good way. I am a bread lover, I could live on bread, I try not to because it's not healthy at all, but if it was possible to do so, believe it, I would have a loaf of bread and a brick of butter every.single.day. 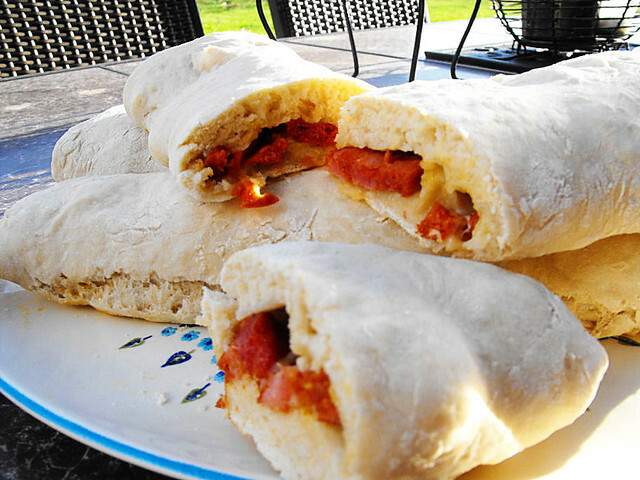 This is an extremely easy recipe to make, it almost reminds me of the other bread that we portuguese make, called a Bola de Carne. 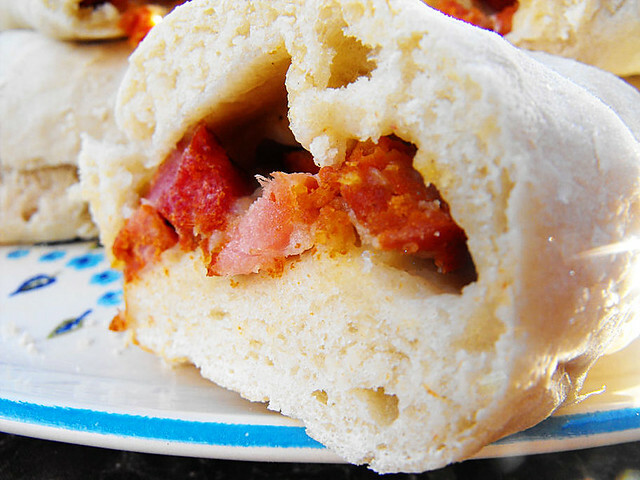 A ball of meat....literally, it's like a ball or oval shaped loaf with ham and chourico etc inside. YUM! 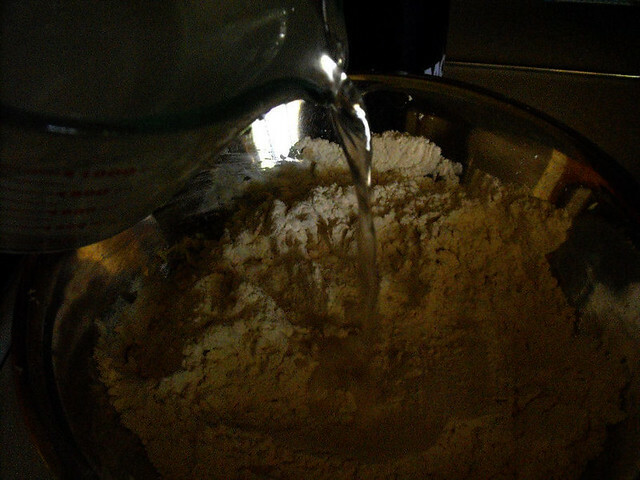 Dissolve the yeast in 4 tablespoons of warm water. Add about 1/2 tbsp. 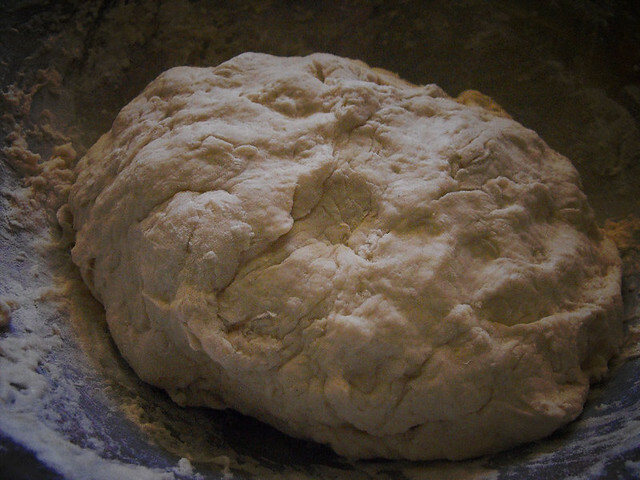 of flour and mix well. Set aside. 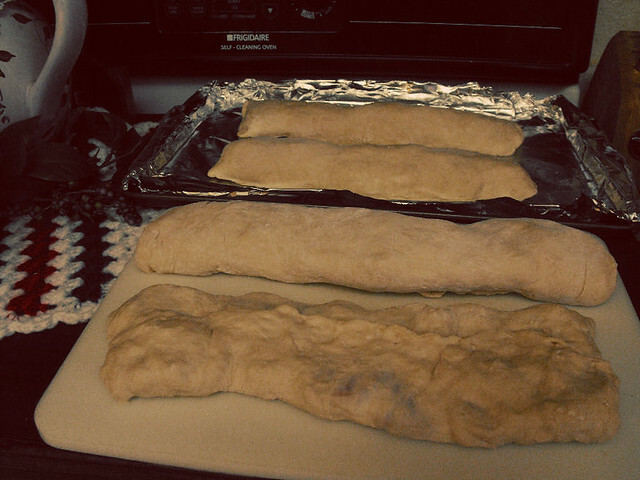 until you have a smooth dough that doesn't stick to your hands. Let rise for 3o minutes. Divide into 4 portions. Using a rolling pin roll out the dough into a rectangle, not too big, you want to have a sort of thick dough....you can see by my picture how it should look. 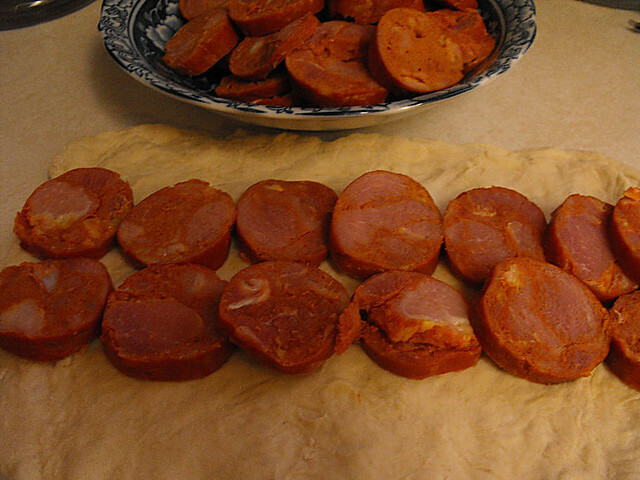 Layer the chourico on the dough....roll the dough up, pinch the seams to close and set seam side down on a baking sheet. Let rise again until you can see that it won't rise anymore. Bake in a 375 oven for about 20 minutes. One thing you'll notice about these loaves is that they don't turn really brown, matter of fact most of them stay a nice white pale. Enjoy! It almost looks like there is cheese in this! Do you ever serve it like that? Looks wonderful!!! This looks really interesting. 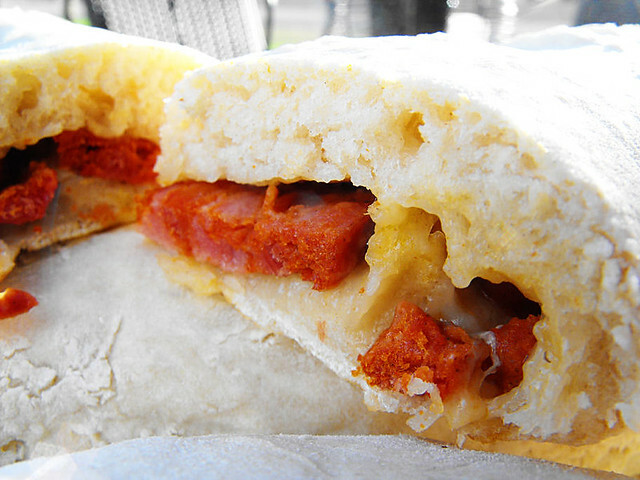 Is chourico kind of like chorizo from Spain? Where do you buy this meat? Thanks for all of your recipes with the fantastic pictures that inspire us to get into our kitchens to create wonderful things to eat.